Over the weekend Joey Porter was arrested for DUI and assaulting a police officer. Although this is a serious case, one that finds Porter reaping the benefits of being our idiot of the week, we did find it a tad funny how the events went down. Congratulations to Joey Porter of the Arizona Cardinals for being our idiot of the week. In 2008, the smell of smoke in a bar was on it’s way out. Parents rejoiced as they could finally take their kids to that skanky bar with such great happy hour specials. I for one, was not happy. I have never smoked one cigarette in my life. True story. The end. Congratulations to Chad Henne of the Miami Dolphins for being the idrinksport.com idiot of the week. Watching the NCAA tournament at work comes with a bit of risk if your boss isn’t a fan of you wasting time. CBS thought it would be a great idea to include a “Boss Button” for easy access to what appears to be legit work. No Doubt, genius. In a slow week for idiots, I’m reminded of how stupid Stephen A. Smith is. He reported that “NBA sources” told him that Allen Iverson was battling drinking and gambling problems and could possibly see all of his wealth go down the drain. So instead of seeking professional help for Allen Iverson or confronting him in private, Stephen A. decided to nationally embarrass AI by basically saying his problem will soon lead to “RIP AI” as a trending twitter topic. We all know Stephen A. Smith has become a less relevant sports reporter since leaving ESPN, and this is his pitiful attempt to stay in the limelight, but come on Stephen A. When was the last time your best idea for helping someone was publically airing dirty laundry? You my friend, are this week’s idiot. Congratulations to Stephen A. Smith for being our idiot of the week for March 15th, 2010. Tecmo Bowl Throwback and more. UCONN just lost to St. Johns 73-51. Wow. I’m speechless. 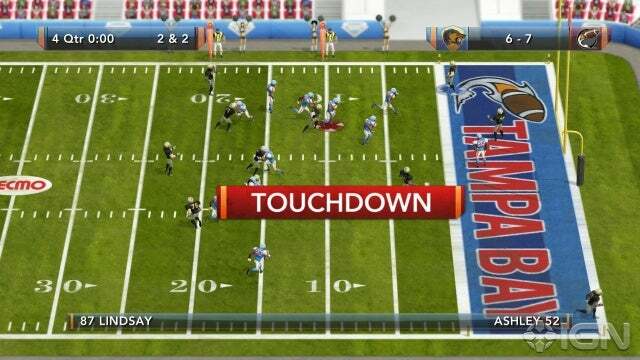 A great day in the life of fans of the Tecmo Bowl Series…Tecmo Bowl Throwback has been officially announced and will be released this spring/summer on XBOX live and the Playstation Networks. Here is a screen shot and link to IGN. LT is meeting with the Vikings this Thursday and Thomas Jones signed with the Chiefs. Wow the NFL Free Agency is almost more exciting than watching the NBA Regular Season. Anytime you see something in sports and instantly say, “what an idiot”, you can almost guarantee that come Monday there will be a new blog and someone will be named our newest idiot of the week. This week is no different. Congratulations to Brittney Griner for being idrinksport.com’s idiot of the week for March 8th. Wow, what a day it’s been so far. Nate Burleson to the Lions for 5 years. Who cares really? ESPN reports Gary Brackett, aka Carl Winslow, has signed on for 5 more years with the colts. Dunta Robinson to meet with the Falcons today…the Falcons need that bad. Chad Pennington, with one of the weakest arms before injury, is now asking the Dolphins to have a no trade clause in his contract. 1 year deal worth 2.5 mil supposedly to mentor Henne and Thigpen…I’d take it. Julius Peppers and Chester Taylor are meeting with the Bears today. During the Olympics, most of the Country got the chance to watch Ryan Miller play for the US hockey team. It’s no secret that he is one of the best goalies and could easily be marketed in this country following his great Olympic performance. In those same Olympics, the NHL also received an added bonus when their most recognizable star, Sidney Crosby, scored the game winning goal against the US this past Sunday. How is the NHL rewarded after the Olympics? Miller of the Sabres faces Crosby and the Penquins. This is going to be a primetime matchup on VersusHD right? Nope. Prepare for two mediocre teams… with the snooze fest battle between the Flyers and Lightning. The NHL should have stepped in and promoted the Sabres Penquins game. It probably would have been their highest rated game of the year. Way to go NHL. Vancouver, BC – As soon as the Olympic closing ceremony had finished, one country was left wondering what happened. That country, is Russia. Despite fielding the third most teams in Olympic competition, Russia was held to the 11th most gold medals(3) and only 15 medals overall. Russian President, Dmitry Medvedev, declared that all of “those who bear responsibility” should take credit. He also suggested that they resign now. So if ‘ol Medvedev wants to crown em as losers, we will crown em as idiots. Congratulations to Russia for being idrinksport.com’s idiot of the week.